Hydrovac Services in the Bakken Area and Eagle Ford. Hydrovac excavation is the process by which pressurized water is blasted into the soil with a vacuum tube next to it. As the pressurized water blasts thru the soil it, the soil removed is then suctioned into the vacuum tube and into the debri-bin in the back of the truck. This process of excavation reduces the potential damage to infrastructure that might be underground in the area. Let it be pipeline, power lines, telecommunication lines. Exposing these lines with a Hydrovac service will increase the excavation rate, where high levels of infrastructure might be present. We provide vacuum truck services necessary for construction, drilling, completion and production of natural gas wells. Our certified staff of technicians are trained in all aspects of safety regarding hydro vacuum excavation practices. 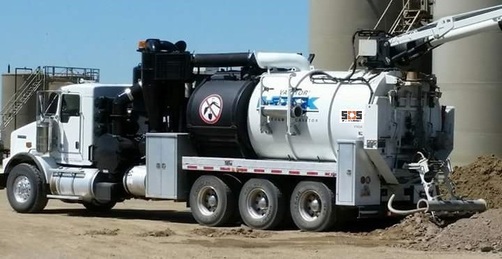 Providing Hydro-excavation services with water for fast, non-destructive, cost effective and accurate location of underground utilities when utility conflicts exist or when precise excavation within congested areas is required. Keeping the environment clean is everyone's responsibility. But there are always accidents that might occur. When they happen SOS will be there to clean them up safely, efficiently and professionally. ​Slot Trenching, Expose Live Gas Lines, Safely Expose Utilities, Daylight Utilities (Potholing), Limited Access Areas, Water Outfall Cleanouts, Pit Cleanouts, Tank Cleanouts, Expose Multiple Lines, Low / No Water Usage, Minimal Disruption. Roustabout Services in the Bakken Area. Maintaining and Repairing a wellsite is high priority to keep the production of oil for a company. With our 10 year experienced technicians we can do anything with quality and excellence to keep that oil flowing. Installation of pipelines in oil and gas locations can be difficult, but with our experienced team of operators, we get the job done safely and efficiently. With the support of our Hydrovac division, getting the lines underground and Tied-in is our specialty. 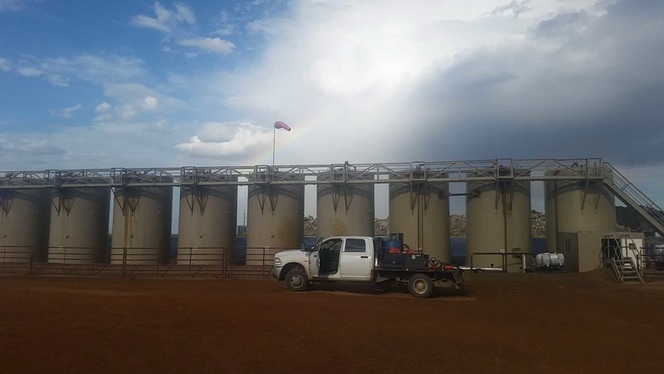 With 10 years experience in building of Salt Water disposals, Tank Batteries, Pumping Units for the mayor players in the Bakken Area SOS will get the job done Safely and Efficiently to meet the demands for oil and gas of our customers. A Hydrostatic testing is a way in which pressure vessels such as pipelines, plumbing, gas cylinders, boilers and fuel tanks can be tested for strength and leaks. A Right-of-Way is a right to make a way over a piece of land, usually to and from another piece of land. Shale's 10 year experience Pipeline crew will get the job done, safely, efficiently and cost-effectively. When a pipeline has to cross waterways, roads, or environmental sites. 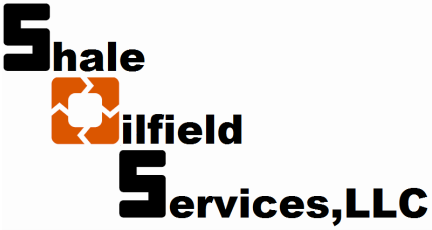 Directional boring from Shale Oilfield Services is the answer. ﻿﻿In the case of a pipeline emergency, Shale Oilfield Services is at the ready with a team of emergency response Members. Ready to take the job at at any hour as soon as possible.